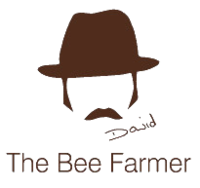 Catch up with the Bee Farmer at events during 2019. Click HERE to join the mailing list for news on events, training and talks before general release. David McDowell is The Bee Farmer, a professional bee keeper who supplies Gelato Village with all of its honey. 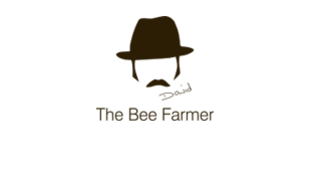 Find out more about the life of a bee keeper, what he makes and how he does it! Along the way there will be the chance to taste some delicious products, including Gelato Village's international award winning Bee Happy gelato, made with honey, sage and lemon zest. I am not trading at this event but it is an excellent event if you are interested in bee lectures and for equipment from top suppliers. Event Location: Heather Village Hall. A steam filled rally event for all ages. Over 100 miniature engines from across the UK will be in steam, operating alongside the narrow gauge steam trains of the SBR and of course the stunning Statfold Tramway with ex-Burton & Ashby Tramcar No14. Gather round all nature lovers, day dreamers, big thinkers. Step into an incredible weekend festival of debate, celebration and reflection in the National Forest. Timber invites you to stand up and be counted as we rethink our relationship with trees and forests. Tractor Run and vintage cars parade along Market St, Ashby and park up on The Bath Grounds where there you can take a look at all the tractors and talk to the drivers. There will be live entertainment throughout the day and lots of exciting stalls including food and drink vendors and fair rides. A great family day out. Proceeds go to local charities.